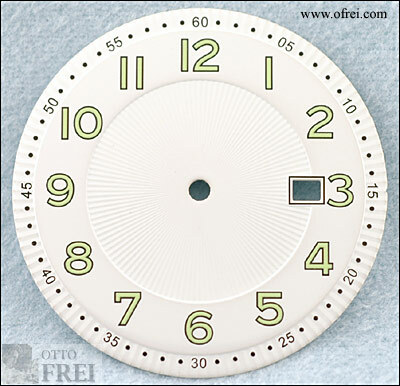 Dial for our 42 mm diameter 10ATM Watch Cases Style #'s 14 thru 17. 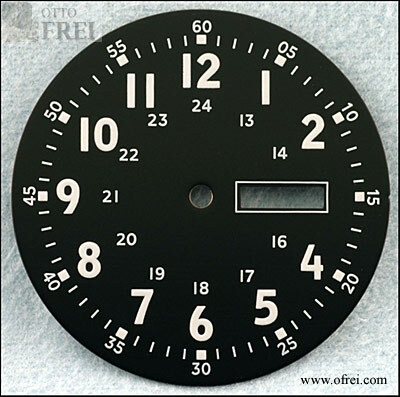 Dial Diameter 35.8 mm, minute track 32 mm. 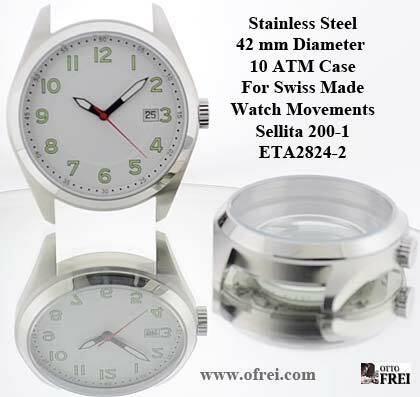 Use with ETA 2836-2 or Sellita SW220-1 Swiss Made Movements. 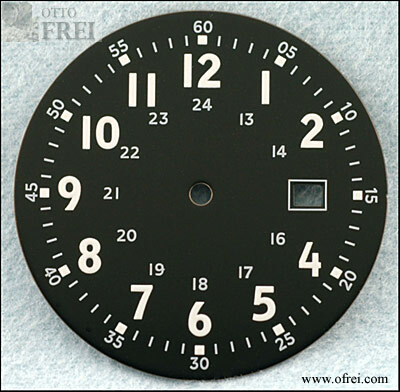 Dial Diameter 35.8 mm, minute track is 34 mm. 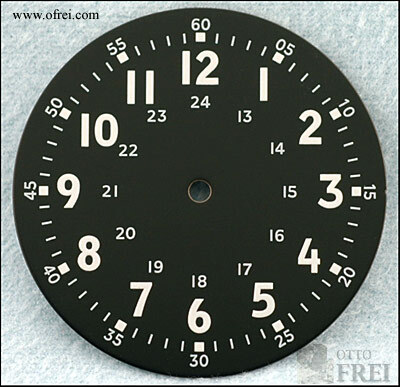 For our 42 mm cases styles #14, #15, #16, #17 with the ETA 2824-2 or Sellita SW200-1 movement.